You’ve invested a lot of time and money into your home. Whether it’s your very first home or one of many that you’ve purchased, a home is a sizable investment that needs protection. That’s what homeowners insurance is all about and not having any is simply foolish. Maintaining even a minimal amount of coverage makes good sense, but any responsible homeowner is going to want a policy that incorporates all of the important factors necessary for keeping their home fully protected. Buying the right amount of coverage won’t be the same for every consumer; different homes have different requirements for the best policy. Newer homes may need certain coverages that older ones will not, and vice versa. 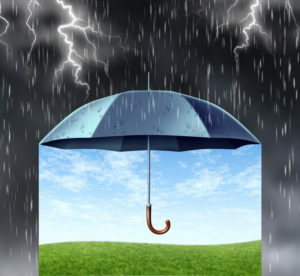 The region in which your home is located may also require special coverage due to the inclement weather threats inherent to that part of the country. If you live in an area that is prone to heavy storms or hurricanes, your homeowners insurance is going to need to reflect those risks and be ready to cover you in the event of damage or loss. But that’s just the start – most homeowners are going to want their policy to cover everything on the outside and inside as well. That means your belongings and the individuals living and visiting your home. If someone breaks into your house, steals your things, and wrecks the place, your homeowners insurance can cover those items and the cost to repair any damage. The proper policy can also protect you in the event someone falls down the stairs or slips and hits their head on the floor. A good policy will even cover you if your dog bites someone while they are on your property. Choosing the right coverage is a unique endeavor exclusive to you and the needs of your home and so-called “blanket” policies are rarely that, as they don’t often cover it all for every consumer. So tailoring your policy to your specific necessities is important and, luckily, most insurance companies on the market offer a menu of choice along with additional components that provide extra layers of protection where necessary. There are a lot of insurance companies on the market offering homeowners policies and it can get a little monotonous trying to distinguish one from the other, so we’ve done a lot of the heavy lifting for you already and identified fifteen companies that are among the best you’re going to find. When you begin your search for the right home insurance company, starting with these names will get you on the right track towards finding the company that fits all of your needs. We do it with everything we buy. Whether it’s a new car, a new television, even the right coffeemaker, shopping around is just a smart practice because it can often ensure that you have gotten the best product for the right price. Most consumers shop around to compare prices and features because they want the most for their money and it’s usually a large amount of money that’s at stake. You likely did some comparison pricing when you purchased insurance for your automobile. You compared rates and policy options because you didn’t want to be left holding the bag in the event you became involved in an accident, whether you were the responsible party or not. Rates and policies likely weren’t the only factors that went into your decision, either. You did some investigation into things like customer support, ease of filing a claim, and the financial stability of the company that you were going to rely on to be there if and when you ever needed their help. If your insurance provider can’t measure up in those areas, then why have them around in the first place? Far too many customers have horror stories of paying expensive premiums each month only for their insurance company to come up short when and where it counts. So it can’t be stressed enough how important it is to compare companies in the areas of pricing, coverage, and claims service. It’s one thing to be able to file a claim easily, it’s another for the company to handle it in a timely manner and cover all of the expenses. When consumers are seeking out the right insurance company, most of them place a greater importance on the thing they can see and comprehend more readily every month in the amount of money they are going to shell out to maintain their coverage. Trying to wrap one’s head around a speculative scenario that may never come to pass in the form of disaster striking the home or someone breaking in and stealing their belongings is all too often diminished by the premiums coming out of their pocket. Finding that delicate balance between paying too much for insurance versus sufficient policy protection in the event of emergency is a tough challenge for anyone seeking out the right company. Unfortunately, too many consumers elect to save a few bucks each month in lieu of getting proper coverage for an incident that may never come in the future, only to pay for it (literally) when the time comes to submit a claim. 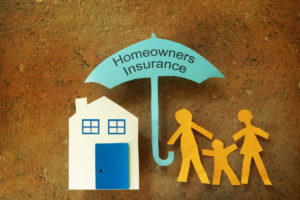 The rates each homeowner pays for his or her insurance can only be determined by the needs for coverage that come with each particular home. However, keeping too little insurance can quickly raise the eventual costs in case something does happen and the policy they’ve purchased falls short of addressing every applicable form of loss or damage that has been incurred. Therefore, weighing out your costs is certainly an important component to keep in mind when you are shopping around, but only do so after you’ve determined exactly what type of coverage you need. Establishing a minimum in that regard is a smart first step but sometimes the minimum is not enough and homeowners will want certain additions and endorsements to their policy that fill in the gaps in the typical coverage policies. Every homeowner is going to need certain basic protections that each insurance company offers their clientele. For starters, the most common forms of homeowners insurance are liability coverage and personal property coverage. The first one protects you in the event someone gets injured in your home or you or another member of your family injures that individual while they are within the boundaries of your property. If the mailman is bitten by your dog or your child and another child get in a fight and a lawsuit emerges, liability can cover the costs. This also protects you or your family if they cause damage to another person’s belongings while they are in your home. Personal property coverage takes care of any personal belongings that you or your family own in the event they are destroyed or damaged by any of the conditions covered within the parameters of your policy. These conditions usually incorporate damage brought about by fire, natural disaster, or theft, just to name a few. 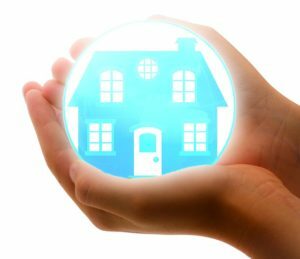 Coverage parameters and conditions are also set forth by other considerations which include the location of the home, the age of the home, and various other risk factors that come with insuring the home properly. That can usually include items such as specific types of pets (mainly dogs) and any parts of the house that could increase the possibility of injury, like a pool or trampoline. All of these factors are going to have a significant impact on the costs of your policy. Your deductible will play a large role in how much you pay per month as well, and this is important to consider because it will determine the extent of your out of pocket costs before the policy kicks in. This is one of the many ways you can adjust your premium costs. Sure, you can choose not to have a pool or pit bull but those aren’t the types of things one thinks about when they are deciding on their homeowners insurance. We get coverage to protect the things we want and cherish, no one has gone to an animal shelter to select a pet with their homeowners insurance playing a part in the process. However, you can take some steps to lower the cost of your premiums that go beyond choosing the right dog or foregoing the sauna because of the “risk factors” that might come with your insurance policy. Getting the right coverage at the best price comes not from denying yourself certain things but meeting eligibility for the variety of discounts that the insurance companies offer their customers. There are some basic ways to save money, like installing proper smoke and CO2 alarms in the home, which could add up to a discount of around 5-10% a year on your insurance premiums. Getting a good security system that has central monitoring is also a smart way to protect your home and lower your costs. There are many more discounts available, ranging from bundling different policies together such as home and auto insurance or paying your premiums in one lump sum instead over monthly installments. Most of the companies offer similar discount opportunities but there are a few standouts among them that could apply to your home and save you a few extra bucks in the long run. The companies on our list provide the best combination of rates, coverages, claims servicing, and discounts. Check out our 15 favorites at the moment and see if one of them fits your situation. One of the most financially stable companies on our list is also one of the best choices when it comes to the amount of coverage options that are available to consumers. They’ve received an A+ rating from A.M. Best Rating Services, the insurance industry’s leading watchdog agency, and they have high marks in customer service and claims adjustment. But the menu of policy options and endorsements that the company offers its customers really makes Allstate worth a look. Not only do they provide the basics like liability, personal property damage, dwelling coverage and loss of use, Allstate has additional coverage options such as identity theft restoration, water backup coverage, and a variety of others, some of which the other companies don’t offer. The winner of J.D. Power’s U.S. Household Insurance Study Award for 2015, Amica is one of the best-reviewed insurance companies in the industry across the board. They’ve consistently received the highest marks in customer satisfaction, pricing, claims handling, insurer communication, and even billing and payment methods. The company also holds the highest financial stability ratings of A++ and AAA from A.M. Best Rating and Standard and Poor’s, respectively, putting them in rarefied air above just about every other insurer on this list and the industry as a whole. Amica is also active in the communities that it serves, providing sponsorships for major fitness events, arts festivals, and various home and automobile shows. The company with some of the best brand recognition of any company on our list is State Farm, an insurance company that offers some of the best customer service and claims handling, but really excels when it comes to coverage options. You’ll find the most complete lineup here with some of the more common policies regarding liability, personal property, and dwelling coverage, in addition to detached structure insurance, loss of use, and guest medical coverage. State Farm also provides unmatched open perils coverage with the most comprehensive list of standard features that outclassed virtually all of their competition. They also have the distinction of providing the most homeowners coverage than any other insurer in the United States, so that should tell you how incredibly popular they are, and with good reason. There are some things you really want when you’re selecting the best homeowners insurance and those include saving money, having the ability to reach someone anytime disaster strikes, and getting a quote should be effortless and straightforward. These three things (and more) are all a part of the Liberty Mutual experience. The company is at the top of the list when it comes to discounts, ranging from the price reductions that come with standard smoke/CO2/security alarm installation to finding additional discounts if your home has had renovations or is less than 13 years old to giving out deeper savings for new homeowners who open a policy within 60 days of buying their home. Their 24-hour emergency repair services trumps the other guys’ 24 hour claims access so you can get your problem fixed much quicker, and getting a quote couldn’t be easier through their online website. These are just some of the many things we love about Liberty Mutual. Farmers provides some of the most complete, all-around satisfaction in just about every department. They more than hold their own in available discounts, providing a mix of the standard savings options and some not so common discounts for a variety of reasons including new home ownership, a list of protective devices that go beyond smoke and CO2, and they’re all for giving you a break if you have multiple policies. The company also has their online and mobile options up to date, providing helpful educational resources to help you purchase the right coverage and some of the easiest claims management tools to navigate and understand than any other company on the list. They offer multiple ways to open a claim and tracking the progress of your case is also readily accessible on their mobile app and website. It’s a mixed bag of the exceptional and the surprisingly unfortunate with Travelers. The pros here include a long list of discount options ranging from the typical to the exclusive, a litany of available additional coverage components for things like floods and landslides and extended coverage for many of their policies. Their online presence also gets high marks for its educational tools and online claims forms which are easy to understand and fill out even in the most stressful of situations. But for all of the good, there is an equal amount of not so good, despite having claims forms online you can’t actually buy the coverage through the website, the company doesn’t offer a mobile app, and it lacks coverage for certain types of dwellings such as mobile homes, an industry standard. This is a great company that has received consistently high ratings for everything from customer support to rates to claims experience. USAA has also been given the highest rank of A++ for financial stability from A.M. Best. You can even get a good amount of educational resources to help you purchase the type of coverage that will suit your situation the best. There’s only one problem – you can’t buy a policy from USAA unless you are an active or former member of the U.S. military or a family member of same. So that’s the main disadvantage to going with USAA, you may not be eligible. However, if you are, you won’t find a better company suited to meeting the needs of veterans and service members in this country. Much like with USAA, Farm Bureau has one very specific requirement for having access to their services. In this case, you must be a member of a farm bureau. The company was established in 1939 to protect the assets of farmers with standard liability coverage for their farms. Since then, the company has expended its reach for all types of coverage and policy options including a variety of home insurance choices. They maintain an A rating with A.M. Best which is excellent, so you need not worry about the financial health of the company in covering the necessary expenses. Their customer service and claims experience have had a few complaints in the past as some consumers have had issues with the company not living up to their promises on some occasions. They may not be one of the best-known names on our list, but Chubb has been providing home and auto insurance to satisfied customers for over a century. With regard to the former, the company offers a number of great features including the typical coverages that you’ll find throughout the industry along with extended replacement and living expense costs for repairs and other living necessities that might extend beyond the conditions set forth in your policy and appraisal services to identify the proper replacement cost of your home should it be a total loss. The discounts are wide ranging as well, with savings on everything from multiple policies to the type of construction used to build your home. They also offer 24/7 claims service to help you start a file anytime you encounter a problem. One of the least known companies on our list is also one of the most versatile in terms of coverage options. Don’t let the name fool you, Auto-Owners offers life, car, business, and home insurance and, for the latter, they handle coverage of all type of homes, condominiums, farms, and so on. They even offer renters insurance as well. The policies range from the typical to some additional coverage options that cover flood and earthquake, sewer and sump pump back up, and they’ll even reimburse you for spoiled food in the event your refrigerator goes out. The discount options are pretty standard but they have all of the most popular ways to save money. Safeco doesn’t offer their services across the country opting for regional coverage instead. But if you can access their products, you’ll find they have some of the best flexibility around with respect to policies and coverage options. Filing a claim can only be done over the phone, there is no online component so that’s a disadvantage but they offer payment options to fit any budget and schedule and your deductible can be applied to multiple policies. So if you suffer damage or loss to your home and auto and both are covered by Safeco, you’ll only need to pay just one deductible. Inexpensive doesn’t always mean cheap, particularly if you’re going with MetLife. Ranked among the least costly when it comes to comparing companies by premiums, you’re going to find a ton of discounts available here. Some are standard, others not so much like having a AAA membership, making certain renovations on the home, and if you’re over the age of 55 you can expect to save money for that, too! Their coverage options are also terrific, chief among them is their guaranteed replacement policy which covers the actual replacement costs of everything that is lost, home and belongings alike. That’s not something every company offers and puts MetLife above the rest. They’re not a household name either, but they’ve been quietly gaining consumers’ trust by becoming the third most popular and well-reviewed homeowners insurance company according to J.D. Power. They have received high marks for their coverage options, discounts, prices, you know…all the things that people want to love about their insurer. Even A.M. Best likes their financial outlook giving them an A+ rating. But their coverage area is limited to just 12 states and the District of Columbia so that can keep some consumers shut out. Sure you know they offer an amazing array of auto insurance coverages and some of the most discounts in the industry, but what about their homeowners insurance options? It’s good, but limited. There aren’t as many discount options to help consumers save money (they seem to be saving all of that versatility for the automobiles) and they have limitations to their types of coverages as well. They don’t insure older homes or farms and ranches. Where they do excel, however, is with additional coverage options providing consumers with the ability to cover items that most policies neglect to handle such as luxury items, fine art, handguns and so on. They’ll also cover fires, floods, earthquakes and even identity theft. Nationwide is another company with strong brand recognition and average customer ratings in every category. The biggest complaint is with their rates – Nationwide remains one of the priciest insurers on the market. They do offer some discounts, they’re not substantial but they do have ways to save like multi-policy, personal status (yes you may save money based on whether you’re married or single), the age of your home and your age can save you some additional money, along with the typical security measures like smoke, security, and fire alarm installation. Their coverage options are average, offering most of the standard policies and limits. These are but a few of the many homeowners insurance companies on the market, but we think these are the entities that combine the best coverage, best rates, and best discount options for saving on your premiums each month. Once you get your coverage and maintain it for about a year, be sure to look it over once again to see if you need to update the current terms and limits. You may be carrying too much coverage or not enough, but being cognizant of how your situation has changed and the insurance requirements with it is a good way to save money and protect yourself adequately enough in case of emergency. Policies can also change outside of your control so staying current on any alterations will also keep your well protected. If need be, you can compare rates, quotes, and coverage options again and switch companies.